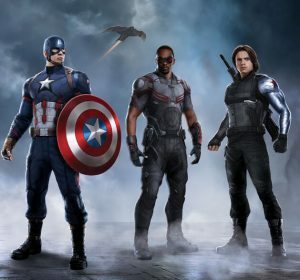 Disney Streaming Service To Include TV Type Mini-Series Featuring MCU Captain America’s Allies Falcon & The Winter Soldier! Disney Streaming Service To Include TV Type Mini-Series Featuring MCU Captain America’s Allies Falconand The Winter Soldier! Marvel heroes Falcon and Winter Soldier are teaming up for a potential limited series at the Disney streaming service.